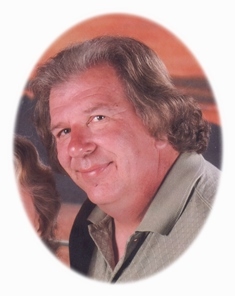 Jerald C. “Jerry” Groth, age 58, of Fransee Lane, in Saukville, Wisconsin died Thursday, July 10, 2014 at Columbia St. Mary’s Hosptial-Ozaukee Campus in Mequon, WI of health complications. He was born on December 14, 1955 in Grafton, WI, son of Franklin and Norma Hennig Groth. He grew up part of a big family, graduating from Grafton High School in 1974. On December 7, 1979, Jerry married Nancy Bath of Cedarburg at First Immanuel Lutheran Church in Cedarburg. After a few years, they settled in Saukville. They were together almost 35 years. For over 30 years, Jerry traveled to work at Snap-On Tools in Milwaukee where he was a machinist and member of the Teamsters Union. He worked hard but made great use of his personal time. Jerry enjoyed cars, especially NHRA drag racing. He had just traveled to Joliet, IL with friends for a competition. He enjoyed playing the drums with Credence Clearwater Revival and Led Zepplin amongst his favorite bands. He enjoyed traveling and going to the beach. He was a certified scuba diver. He liked cheering for the Green Bay Packers. Overall, Jerry liked being around people. He was a jokester, had a great sense of humor and enjoyed a good one-liner. This family man had a thing for the game of Bowling. Jerry was an accomplished bowler, statewide and nationally. Over the years, he participated in many leagues and many tournaments. He won his fair share. He threw many perfect 300 games and a few 800 series. He won a few Wisconsin State tournaments, even throwing a 300 game there one year. He traveled to the annual American Bowling Congress National Tournament many times throughout the country, making good use of vacation time. His home is full of the awards of his persistence and knowledge of the game; all with his wife Nancy bowling or close by. Jerry’s family includes his wife Nancy, his daughters Jaclyn (Matt White) Groth of Pembine, WI and Jamie (Mike Wollner) Groth of Grafton; his mother Norma Groth of Grafton; his sisters Julie Groth of Portland, OR, Dianne Groth of Milwaukee, Annette (Ron) Mason of Horseshoe Bend, AR, the late Janice (Dennis) Curtin of Appleton and Christine Groth of Grafton; his brother Alan (Ruth) Groth of Danville, IL; his sisters-in-law Deborah (the late Terry) Guell of Fond du Lac, Pam (Bob) Boesch of Cable and Lisa (Joel) Guell of Eden and his brother-in-law Scott (Laurel) Bath of Grafton. Jerry is further survived by many nieces, nephews, other relatives and friends. He is preceded in death by his father Franklin Groth, his sister Janice Curtin, infant sisters Joyce and Judy Groth and brothers-in-law Donald “Spud” Bath and Terry Guell. Funeral services will be held at 7PM Tuesday July 15, 2014 at the POOLE FUNERAL HOME, 203 N. Wisconsin Street, Port Washington. Pastor Kenton Wendorf of St Paul Lutheran Church in Grafton will officiate. Family will receive friends from 4-7PM Tuesday AT THE FUNERAL HOME. Memorials to the family are appreciated. Previous Post: Lucas, Carol E.
A loving and caring husband,father,brother inlaw with a great sense of humor and made light if everything.Let the the bowling thunder begin and rock on. To the Groth family: I am so sorry for your loss. I remember Jerry as one of the “little kids” who was always hanging around when we played baseball or jumped from the hay loft.